Last time, I had an opportunity to participate in a free webinar held by Chemical Engineering Online. Topic of the webinar was how to sustained heat transfer performance. I was eager to participate in this webinar because of three reasons. First, the webinar was practical. 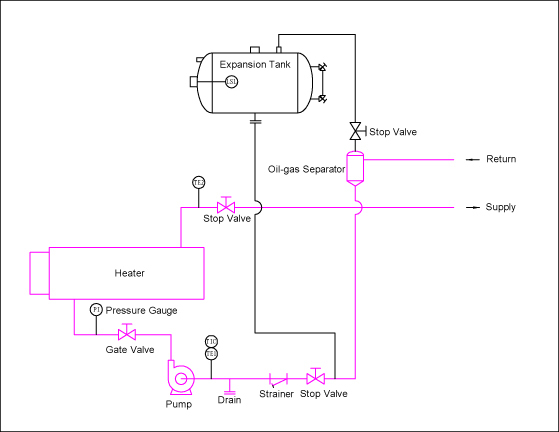 Second, speaker of webinar was from Therminol, which is one of heat transfer fluid. Third, I indirectly was heat transfer fluid user for two projects. So that, I need to understand about this topic if there is application opportunity in the future. I want to share my experience about sizing of expansion tank especially for thermal oil heater. It is quite simple actually. I will give you an example.